There’s nothing quite like the feel of warm spring air. Fresh and clean, it inspires us to open the windows wide, do our own cleaning, sweep away the dirt and dreariness of winter and welcome the wonderful scents of the outdoors. 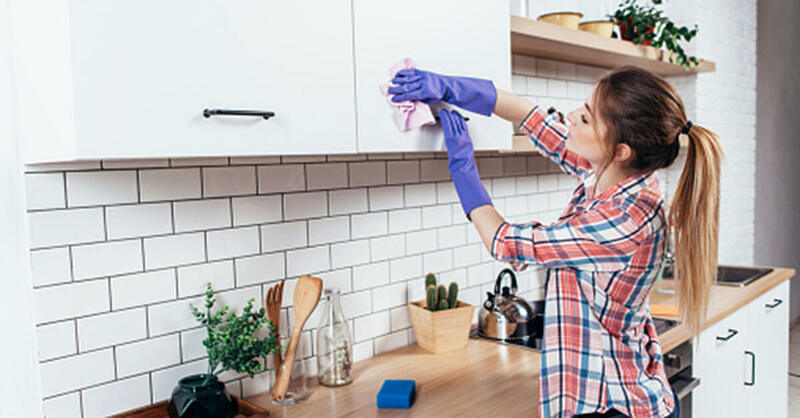 And for those of us looking to avoid cleaning with the harsh chemicals found in store-bought products, spring cleaning with essential oils is a great alternative. Not only do you get a variety of beneficial oils to choose from, but your home is also left smelling truly amazing. So ditch those rubber gloves and masks and take a look at some of today’s best DIY cleaning product recipes for the home. Plush surfaces like carpet feel great, especially during harsh winter months. However, they also tend to trap a lot of dirt and odors in their fibers. Fortunately, we have two DIY rug cleaner recipes that will have them looking—and smelling—cleaner than ever in no time. Put 1 cup of baking soda into a container. Add 10-15 drops of essential oil. If you have kids, KidSafe Deodorizing Blend is a great choice. Otherwise, try creating your own combinations. Bergamot and Lemon essential oils, for example, make a scent that’s clean, fresh and slightly floral. Add another cup of baking soda and 10-15 more drops of essential oil. Shake well, sprinkle on carpets and allow to sit for 30-60 minutes before vacuuming. If you prefer a spray cleaner, especially for tough stains, this DIY spray carpet cleaner recipe utilizes the natural stain-removing abilities of Lemon Essential Oil to help lift away grime and leave your carpet smelling fresh and clean. Using gloves, test a small spot for discoloration. Mix all ingredients in a spray bottle and shake well, fully dissolving the baking soda. Spray on the carpet and work in with scrub brush or towel. Soak up excess moisture with a towel. The heart of the home, the kitchen can be a tough place to keep clean, especially after a long winter of cooking and entertaining. But these tried and true DIY kitchen cleaners are up to the task–no matter how dirty, greasy or smelly. Add all ingredients to bottle and shake. Spray and wipe off to clean. Keep your kitchen drain smelling fresh and clean with this simple baking soda disk recipe. You don’t have to add essential oils until you’re ready to use. It’s easy to customize this recipe to your favorite scents! Mix baking soda and water to form a thick paste. Press into silicone mold of your choice. Shut off oven, leave in to cool and then move to a countertop. After 24 hours, remove from the mold and place in an airtight container. To use, add 5-8 drops of essential oil to one disk, place in a garbage disposal, add ½ cup vinegar and allow to foam. Perhaps no other room in the house can benefit from the scent of essential oils as much as the bathroom. 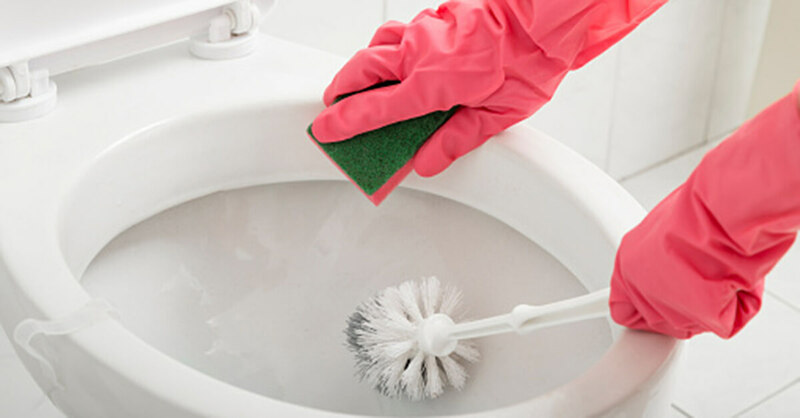 Used in conjunction with DIY all-purpose countertop cleaner, these DIY recipes for the bathroom bring a whole new level of clean and fresh to your facilities! Use the essential oils of your choice to keep your sinks, toilets, and tubs sparkling clean with this quick and easy paste recipe. For extra disinfecting power, we recommend using 15 drops Tea Tree and 15 drops Germ Fighter Blend. Use all ingredients to create a paste. Spread paste and let it sit 5-10 minutes. Be sure to use gloves as this paste can be very harsh on your skin. Banish bathroom odors with this easy-to-use toilet spray. Put vegetable glycerin in the bottle. Add 20 drops each of three essential oils of your choice. Add to toilet water before using the restroom and again after if necessary. This just might be the simplest DIY ever for keeping your bath smelling fresh! Drop 4-6 drops of essential oil onto the inside of the tube, spreading them out as evenly as possible. Avoid using the last few “rounds” of toilet paper. Drop these great-smelling disks in the bowl, scrub and flush for a clean everyone will appreciate. Mix baking soda and citric acid. Add essential oils and mix again. Slowly mix while spraying vinegar in. When moist enough to stick (but not wet) put in a mold and dry for 2 hours. Pop out of mold and store in the bathroom. Drop in toilet, scrub, and flush, or just drop in for a quick refresh. Cleaning that stubborn mold and mildew out of your shower is easier than ever, thanks to the power of hydrosols, the water distilled with essential oils. Because they ’re water-based, there are lots of great ways to use hydrosols. Fill an amber or dark glass spray bottle with the hydrosol and spray on the shower surface. Store in a cool, dry place or the refrigerator. We’ve all heard about the potential downsides of artificial fragrances. Fortunately, these DIY essential air freshener recipes require just a few natural ingredients. Use your favorite scent to shake things up with this easy DIY room refresher recipe that uses baking soda to help remove odors from the air as it refreshes. Place baking soda in a jar and add essential oils. Place a coffee filter on top and screw on lid. Perfect as a gift, or for your home, these homemade gelatin air fresheners look as great as they smell! Add gelatin and whisk until smooth and gelatin is dissolved. Put in your salt and second cup of water and set aside. Add essential oils and food coloring to a glass jar, pour gelatin mixture on top and stir. The water that is distilled with essential oils, hydrosols are a quick and easy way to freshen any room in the house. Fill a dark glass spray bottle with hydrosol. Spray in rooms to freshen. Nothing says clean like crystal clear windows. And citrus essential oils have what it takes to make all your glass shine. Put the power of favorites like lemon, lime, and sweet orange to work on your windows. Put all ingredients in the bottle. Store in the fridge and try to use within a couple weeks. 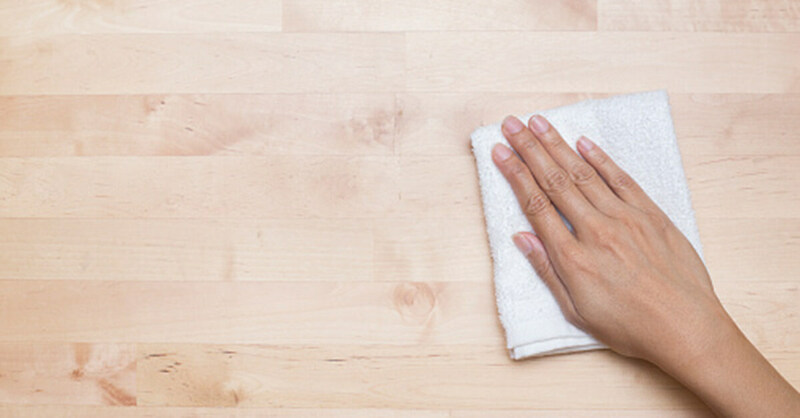 Spring is a great time to wipe away the dullness of winter from your furniture, especially if you’re using an all-natural polish that smells great! Furniture polish doesn’t have to be full of toxic chemicals with great recipes like this out there. Place a very small amount on the microfiber cloth and buff until you have an even shine and all streaks are gone. 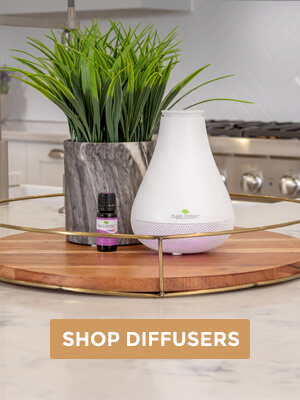 Getting rid of the dust is a must for any good spring cleaning–especially when it leaves your home smelling like your favorite essential oils. This DIY dusting recipe uses a combination of oils and water to help trap dirt and dust and leave your surfaces shiny. Combine all ingredients in spray bottle. Spray and wipe with a microfiber cloth until shiny. Store in fridge and use within a couple weeks. If you want, you can add a preservative to prolong shelf life. Looking to do some cleaning up your yard as well as the inside of your home? Want to avoid toxic weed killers? No problem. 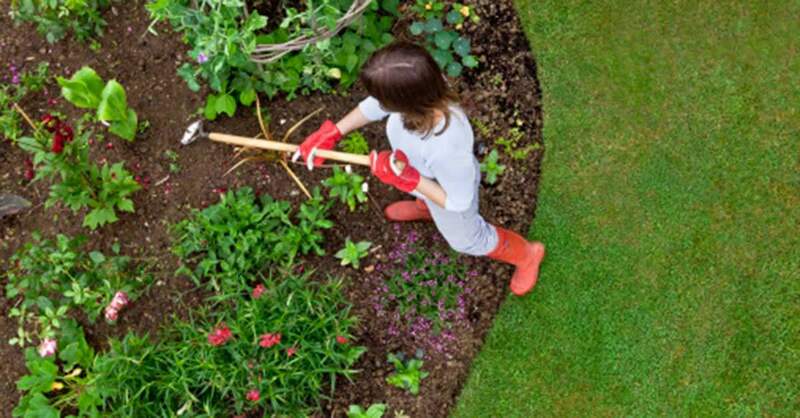 Essential oils are a safe and effective way to get your yard cleaned up and looking great for spring. A powerful cleaner for the home, Clove Essential Oil is also popular as a natural weed killer. Combine all ingredients in the spray bottle. Spray only on the plants you want to eliminate. Be careful to avoid contact with the skin. With so many great natural DIY cleaning recipes to choose from, why wait? 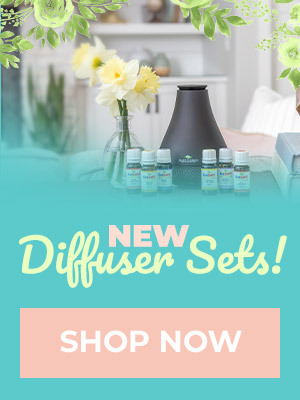 Spring is the perfect time to ditch toxic cleaners and put the power of essential oils to work at your home. With so many essential oils that are great for cleaning, you just may end up with a clean house AND some signature scents you love. This post certainly gets me motivated to clean! Is it ok to use non-dog safe oils (like Tea Tree) to clean as long as my pup doesn’t have access to that area during and immediately following cleaning? I’ve been trying to use more natural cleaning products around the house and this article is really helpful! I also didn’t know hydrosols could be used for cleaning or as a room spray so excited to try that! Some of these recipes are new to me! Can’t wait to try them. Is there a way to bookmark this page? Maybe I’ll have to get the EO journal and the extra pages so I can write these down. My bank account curses you PT , but every other avenue of our lives thanks you!! I’ve been wanting to use more natural cleaning products. I’m excited to try some of these. Fantastic article – I have made a few of these and will be making many more. Thank you! I haven’t tried the Germ Destroyer Blend yet, but I’ve been cleaning with lemon, tea tree, white vinegar and distilled water. Stopping the use of chemicals in my house has been a slow process, but I love knowing I’m using natural products. Until I discovered this company a few days ago, I hadn’t ever heard of Hydrosols or anything like it. After reading some of the other blogs, and especially this one, I feel like I have to have Hydrosols in my life! Thank you for so much great information! This list is making me excited to start spring cleaning!!! The clove weed killer is especially intriguing! Can’t wait to try these. I am actually excited for spring cleaning after reading these tips! No headaches from nasty cleaning chemicals!! I love the all purpose cleaner and can’t wait to try these! Making my own products is so much cheaper than buying them. They can be so pricey! Thanks for this useful guide. The “carpet cleaning powder” makes such a huge difference! I only have a couple of area rugs, but when I do this it makes the entire house smell so clean! Can’t wait to try them all! So excited! Been getting into spring cleaning my whole house already! Thank PT. Oh my!!! This is my new favorite blog post. I’ve been looking for good, GENUINE cleaning recipes using essential oils, but I’m never sure how much I should trust Pinterest. Thank you for so many great uses and instruction. So many good ideas! I really love the window cleaner one and the carpet stain remover! I have a question about the counter cleaner. Many of the store-bought wipes say to keep the counter surface wet for 5-10 minutes to disinfect the surface. Is there time sort of guideline for this spray recipe? Thanks! Thank you so much for this post! Looking forward to trying a few of these in my new house! thanks for putting this list all in one place for an easy resource!!! I am excited to try some of these ideas! I can’t wait to trying these recipes! What kind of preservative do you recommend for the DIY dusting spray? As always, great information and amazing recipes. Can’t wait to try these recipes. It’s nice to see all these great ideas in one place. Thanks! I make the carpet freshener with lavender and peppermint and haven’t seen spiders in my home for awhile. Can’t wait to try the other cleaners!! Thank you for a wonderful blog! I just cleaned my tubs with the baking soda scrub and they came out so white and clean. I will absolutely use this recipe again. I also feel better knowing none of the ingredients in it were harmful to my children. My 3 year old even stood in the bathroom with me while I cleaned. Trying to eliminate as many harmful chemicals from my home as I can. These are very helpful. Thank you! Thank you so much for all the great ideas!! Can’t wait to use some of the recipe here with my favorite essential oils. I love this blog post!!!! My house desperately needs a spring cleaning, and now I can make it fun for myself. I think I’m going to invest in the cleaning set. I can’t wait to try a lot of these out! BEST LIST EVER!! I have a few of these saved, and have made a few as well, but it is sooooo helpful to have them all in one spot. Thank you so much for this post, definitely bookmarking & pinning this! These are such cool ideas! I especially like the dusting spray recipe. I’m going to try it for the dashboard of my car since we live down a gravel road and it’s so dusty. I’ve made the toilet spray using essential oils and vodka which works well too. I love my oils and these are great ideas. Thanks! Great ideas! Makes me anxious to begin spring cleaning, to give them a try. Great list and I will definitely be trying some of these. It is great to have this all in one place. I’ve already used a few of these ideas – thanks for another great blog! I love all of these ideas! I’m eager to try the weed killer! I’m also going to try the room freshener. Great recipes! I love everyone of these ideas! DIY weekend….and then on to cleaning! I’m really excited about the bathroom ideas and the different hydrosol uses. I’ve been using essential oils for a long time in my cleaning and have a few of my own DIYs that help out and some of these ideas are great. I’m a retired guy and this saves a few buck, helps me cut down on throwing container after container away and is a good little hobby! With grandchildren and 3 dogs, my front storm door is continuously dirty. I’m looking forward to making the glass cleaner! Is it weird I’m most excited about the weed killer? definitely going to try that! I just love these ideas! I will be trying most of them this weekend. I love all these recipes Thank you for sharing I will definitely be trying the weed killer. Love finding new recipes. All of these sound amazing but I’m super excited about making the sink discs! Thank you for the great DIYs. Spring cleaning is on my list! Need to try some of these! I want to try the drain disks and the room refreshers!! A lot of good ideas in this blog. Love all of these tips. Can’t wait to try the carpet freshener when my lucky gets here. I am so excited to try so many of these but especially the Shower Spray. I’ve been looking for something just like this for a while now. Thank you PT for all of the great ideas!! Love PT lavender hydrosol. I spray it on my bed pillows for a more restful sleep. Helps me to relax and unwind from the day. There are so many ideas here that I haven’t thought about. I am definitely going to try the weed killer and the air fresheners. This post came at the perfect time, as I’m in a determined cleaning mode. Thank you for these recipe ideas! I am new to EOs and I would like to make some hand soaps. 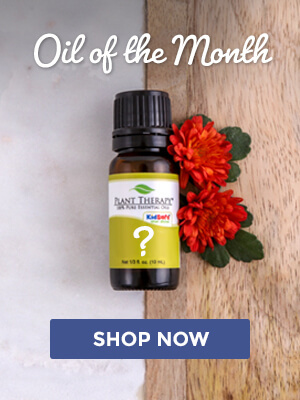 I also have a 4 month old, should I avoid using non kid safe oils? Thank you so much for these recipes! I love experimenting with natural cleaning. I will definitely try these. I am totally going to try the DIY carpet spray, thanks! This is such an awesome post! So much information! Looking forward to using the carpet powder recipe. I am so excited to try the carpet powder as well! It sounds so good!! OMG, this list is fabulous! I have most of these items around my house! I will definitely need to try that mason jar room freshener! AHHH! BEST BLOG EVER! We are still very much in winter mode here in N.S., Canada (two storms in two days – hopefully the last but we never know, haha). But I cannot wait to put some of these recipes to good use! I am currently in nesting mode in my pregnancy and am working tirelessly to get the house refreshed and ready for baby’s arrival! These recipes sound lovely and incorporate easy to find ingredients, so bonus points from me there. Thank you for this! Can’t wait to try the kitchen and bathrooms cleaners! Im looking for a sanitizer type spray to replace my Lysol disinfectant spray. I spray down my childcare toys every day once kids leave to try to keep germa from spreading. Ive also used delluted bleach water. Id like to to kill any sick germs and be safer then what im using for my kids. Thanks. I’m getting the itch to do a thorough spring cleaning, thanks for all the great tips! This is amazing!!! Thank you so much for the ideas! I’m specially interested in the hydrosol diys! I can not wait to try these!!! So excited! I’ve made the toilet bombs and they work great, I have also made what I call homemade lysol, linen spray, room spray with oils. Thank you for all these other great ideas and recipes, I’m gonna be busy in the next few weeks making and trying many out! Thank you for sharing your experience!!! I can’t wait to try the toilet bombs! This was so needed in my life. I am a college student working on getting a degree in nursing. I really hate using harsh chemicals to clean, but working in the hospital there is so much bacteria! Definitely going to be using this!!! While I use some more than others, all of these tips are very useful @home, but after the rains here in CA the weed killer sounds great. #LovePlantTherapy Thank you #PT! I’m going to have to try these ASAP! Especially the furniture polish! I’ve been wanting to move to an EO based one! Any good recipes to clean grease off kitchen cabinets please? Great post! I would substitute peroxide for the vinegar in the scrub recipe, as vinegar and baking soda cancel out the effectiveness of the other. The only way this combination is effective together is in drains or other confined areas in which the chemical reaction will be helpful (being mixed in the area of concern rather than beforehand). Great job putting this together! Already use many of these recipes, but can’t wait to try some that are new to me. Thanks PT. Man, I didn’t know you could make a homemade weed killer, that is AWESOME! Also all the other cleaners are great. I am slowly getting rid of all the chemical cleaners in my home. I have not bought any in over 2 years, however I have definitely bought tons of vinegar! Lol. I can’t wait to try these. Some great ideas here! I can’t wait to try the toilet bombs and Mason Jar room freshener. I love spring cleaning. I like it when my home smells fresh and clean without using chemical based products, essential oils are perfect. I can’t wIt to put these DIY recipes to use. The All Purpose Countertop Cleaner and Room sprays are first on my list. The recipes are well organized and I appreciate that there are many recipes to choose from. What a fabulous blog post! I love the carpet powder, and actually look forward to spring cleaning now! Thank you for all of the great ideas and great recipes! I have enough here to experiment with for a long time. I can’t wait to try these!!! Thank you so much!!! I love having all of these DIY recipes on one spot. And the weed killer has definitely piqued my interest for when the snow melts! I love so many of these ideas! I’m going to have to try the furniture polish. Making cleaning solutions is one of my favorite ways to use oils. One thing to note, though, is that castile soap and vinegar do not mix well. This is a great quick article describing the reaction: http://www.lisabronner.com/a-word-of-caution-about-vinegar-and-castile-soap/ . So cool! I never knew tou cpuld use essential oils for basically every cleaning task in the hpuse! This will be my new goal… I wpuld love to get all of the harsh cleaning agents out of the house!! THESE ARE ALL SO HELPFUL! Thanks so much! I can’t wait to try many of these! What else can I do with clove!! I will be trying the weed killer this spring for sure! Is lime or orange a good sub for lemon to use on my countertops if I have granite? What about may Chang? Does it have cleaning power? Clove is also excellent for a tooth ache. I mix with a small amount of coconut oil. Looks like I have a to do list for the weekend.